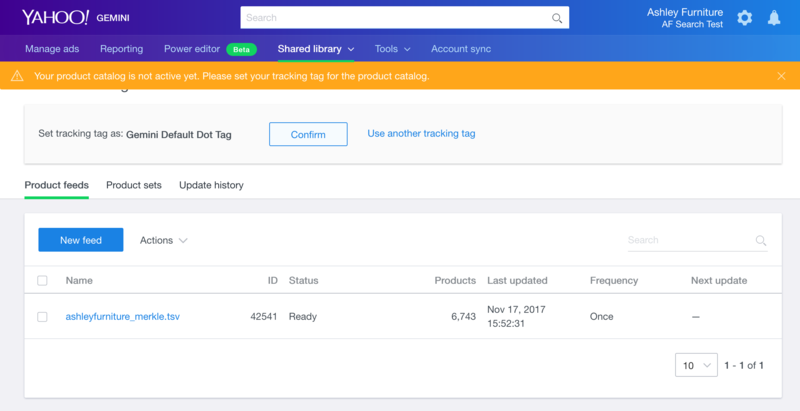 This section describes the steps you’ll need to follow to associate a dot tag to your product catalog. Select Product Catalog from the Shared library tab in the Native & Search UI. Click Use another tracking tag in order to configure Product Catalog settings. 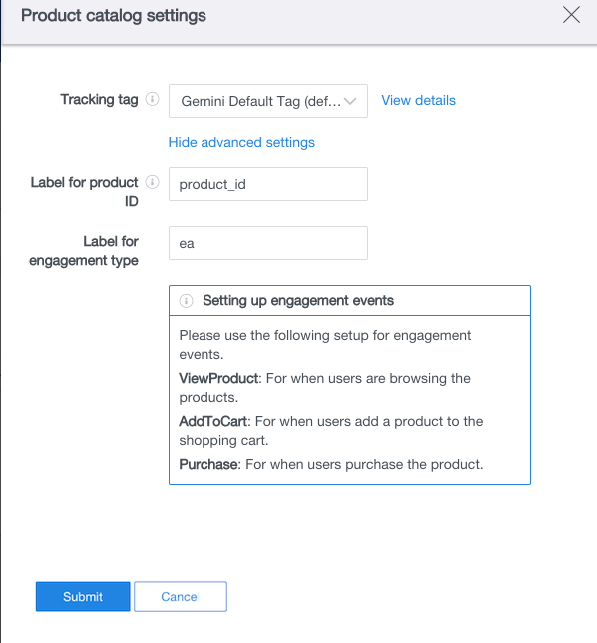 Set the appropriate Dot tag and define the Dynamic Product Ad rule that will push the Product IDs and Engagement events to Native & Search. Click Confirm in the Product catalog settings panel to edit the DPA Label settings. If you’re sending product Ids using a different label name, you need to specify the name of the label that represents the product Id. Click Show advanced settings in the Product catalog settings panel to edit DPA Label settings. Enter the appropriate label for the variable that represents the product id across the customer’s product pages and enables the passing of the product ID to Native & Search. This label should match how you reference the product_id in your DPA Custom Event script. Enter ea into the Label for the engagement type field. Navigate to this next topic to learn how to Create & manage product catalogs.